Lemons. Just the name can get the mouth watering! I’m lucky to live in a place where lemon trees brighten every neighborhood. A fresh slice squeezed in a glass of ice water or over a filet of barbecued salmon. Yum! Or lemonade on a hot summer’s day. As children we passed the summertime selling lemonade to the golfers that passed by our house. I usually got bored & left to play while my brother raked in all the quarters! 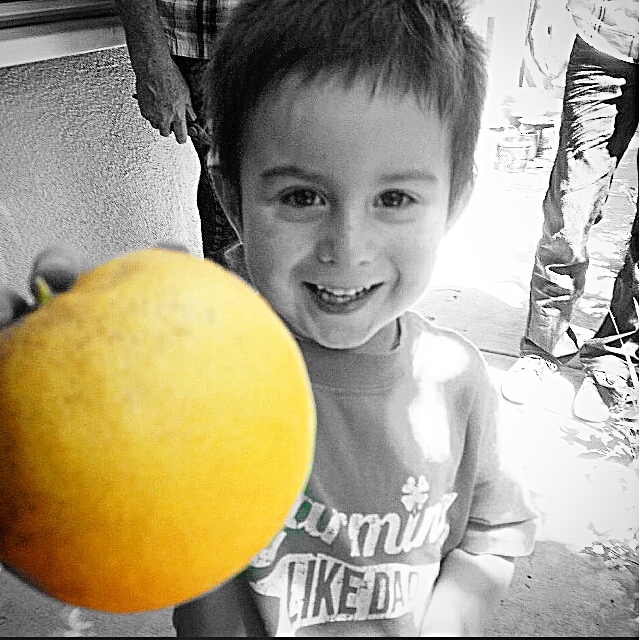 Picking fresh fruit continues to bring joy to the children (& adults) in our family. Lemon Essential Oil is also easy to use & reasonably priced. Benefits of using lemon include clearing toxins from the air, uplifting mood, energizing, cleansing & aiding digestion (ever heard the recommendation to drink lemon water every morning?). Clothing Stains: Dab directly on stain & wash as recommended. *Easily removed stains that were probably a couple years old on a white dress I hadn’t worn in years! Bathtub: Apply a few drops and sprinkle with baking soda. Scrub with a brush or cloth to easily remove soap, dirt & hard water build-up from tub and faucet. *I also like to use lemongrass essential oil for my tub – both work wonders & smell amazing! Freshen Towels: Add a drop or two to the washing machine to brighten whites & rid towels of mildew smell (when left wet in the washing machine too long!). 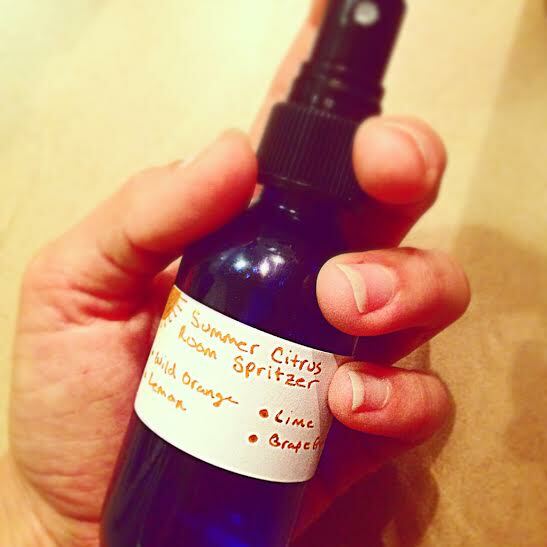 Easy Counter Spray: Add 10 drops to spray bottle & fill water. Spray & wipe. *Please note that essential oils should be kept in glass. Some recipes are diluted enough to recommend an alternative container – but glass is the preferred choice. Removing sticky substances: Apply directly to sticker residue, gum or tar to remove the gunk! *Remember citrus oils can melt plastics so be careful what surfaces you choose to clean!! Purify the Air: Put a few drops in a diffuser or make a simple room freshening spray by adding to water in a glass spray bottle. A good friend just made me this one that I love using in the kitchen & bathroom! What are your favorite cleaning tips or uses for lemons or lemon essential oil? This entry was posted in DIY Recipes, Essential Oils and tagged cleaning, DIY, essential oil, laundry, lemon, stains by Kelly Ann. Bookmark the permalink.